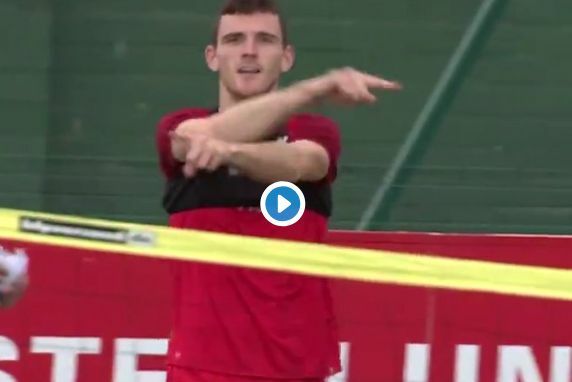 Liverpool left-back Andrew Robertson called for VAR on the training ground as a game of head tennis got ultra competitive! The Scotland international has fast become one of the most loved players at Anfield after his terrific rise in the team in 2018. Still, it’s nice to know he’s super petty when it comes to decisions like this one in the video clip below! These training videos tend to be a surprisingly good watch, with an insight into the intense technical training that goes on under Jurgen Klopp.